With over eight years of online marketing experience, it’s my role to elevate your online presence. I believe in an open line of communication and I will provide you with the support and tools you need to thrive online. When it comes to online community building, I don’t teach people how to buy followers or use tactics that go against the policies of social media outlets. Online marketing, especially SEO, takes time to see results but it’s always worth playing by the rules of the online platforms. Want to get started right away? Awesome! When you book your selected package, you’ll receive an e-mail from me with the next steps. Want to talk before booking? Great! Click the button directly below to schedule a free half-hour call so I can understand how best to support you. I enjoy helping people succeed online even more than I love dresses with pockets. I can’t wait to work together! Jen McLellan is a lifesaver! She set up a clear plan for me regarding online marketing, optimum use of social media, and developing the opt-in and format for my newsletter. I highly recommend her. She’s a dream to work with. I just really love Jen. She’s been able to hop on the phone with me and help me clarify and organize my goals in no time, and has such a broad base of knowledge about SEO, marketing, social media, etc.–it’s like a one-stop-shop for busy people like me. Really, I love working with her too because she’s genuinely kind and supportive. She is a breath of fresh air in so many ways! I’ve successfully built a social media following of over 200,000 with a reach of over 1 million. I’m highly skilled at online community building and know ways to help grow engagement on popular platforms (yes, even Facebook). I’ll do a deep dive into your current social media strategy, review what your competitors are doing and develop a report with steps you can take to overhaul your social media marketing. You’ll receive a survey with questions regarding your current social media strategy, top two competitors, and desired outcomes. I’ll analyze your social media efforts on each platform and review what your competitors are doing. You’ll receive a report with actionable steps to build engagement and followers via your social media platforms. You’ll also receive a list of tools and tips for time management and suggestions for growth. We will meet for up to one hour via Zoom (your choice of video or audio) to review the report and answer any questions you may have. SEO (Search Engine Optimization) is the difference between people finding your business or your competitor when doing a Google search. I’ll analyze your current rankings and develop a plan to drive traffic to your site! I have spent years learning how to rank in Google using high-powered SEO software. My Plus Size Birth website ranks for over 11,000 keywords. You’ll receive a survey with questions about your current SEO efforts and desired outcomes. I’ll need access to your Google Analytics (don’t worry – I’ll hold your hand if you don’t know how to do that). I’ll analyze your current SEO efforts, and how your site is ranking as well as your top two competitors. You’ll receive a report with actionable steps to improve your website’s site-health, a list of recommended keywords you should be using to help your website/blog rank, and recommendations on articles you should be writing (blogging is for businesses of all sizes). Please note, SEO takes time and you will not see immediate results. It’s my role to provide you with the information you need to improve your website’s health and steps you can take to start ranking higher in Google. This package includes 1 hour of basic SEO training via Zoom so you can implement recommended changes in the report immediately. From social media to SEO, are you wanting one-on-one support with your online marketing? Learn how to develop a connection with your social media following and transform “Likes” into clients. Quick time-saving tips for repurposing content across all of your social media platforms. How to grow your newsletter list by creating an opt-in your community will get excited about! Feeling stuck with blogging and don’t have any idea what to write about? I’ve been called the “Idea Bunny” by many! I love helping people develop an editorial calendar and get unstuck for good. Are you unsure where to even start with SEO? Let me teach you! With this package, you’ll receive a $50 discount for purchasing three hours of consulting time. We’ll meet via Zoom video so I can answer your questions and review your website and social media platforms while we’re talking. We had the opportunity to work with Jen as a consultant following guesting on her podcast and in the process of fine-tuning ours for launch. She is a wonderful and gracious person to visit with. She is kind and positive when giving ideas and criticism, as well as, giving words of encouragement for what we are doing well. She has incredible ideas for growth that we didn’t think of. We left our consult with her uplifted, inspired, and excited to dive into work. We would suggest her services to anyone looking for advice & help. We will contact her again! Over the years Jen has helped me multiple times to learn and understand social marketing. I used to be totally clueless, but she helped me with basic stuff to more nuanced topics. She is so knowledgeable, has fun and unique ideas, and is so patient, which for me was incredibly helpful. Jen is the best! Are you frustrated with your social media reach? Do you have questions or want to learn how to improve your reach? I’m here for you! Let’s jump on Zoom together via video and I can look at your social media accounts with you, answer your questions, and provide actionable tips for you to develop your own social media strategy. I’ve been a blogger for eight years, and my blog has received over 4 million hits! Whether you want to become a blogger, have a new blog or are a business with a blog, I’d be thrilled to support you! We’ll meet via Zoom (your choice of audio or video) for one hour. I’ll answer your blogging questions and help you develop next steps for growing traffic to your website! If you’d like to meet for longer than one hour or have follow-up meetings, my hourly rate is $99 or three hours for $250. Have you thought about starting a podcast? Aren’t sure if podcasting is for you? After a ton of research, in May of 2018, I launched the Plus Mommy Podcast that has already received over 30,000 downloads. I’d be delighted to help you assess if podcasting is the right fit for you. We’ll meet via Zoom (your choice of audio or video) for one hour. I’ll answer your questions and following our meeting, you’ll receive a document with my top podcasting resources. Want to learn how I’ve grossed over $10,000 from one e-book? I’m happy to share how you can transform your idea into a profitable digital product. Let’s jump on Zoom (your choice of audio or video) for one hour. I’ll answer your questions and help you to feel empowered with next steps! If you’re wanting some one-on-one time to have your questions about online marketing answered, I’d love to support you! After umming and arring regarding starting a podcast, I am no longer uttering an ‘Um’ or an ‘Ar’ anymore. Before consulting with Jen my podcast experience was next to nothing. After just a one hour consulting session I am ready to start my podcast with confidence. Not only did Jen answer all of the technical aspects that I had no idea where to begin on but she gave me solid feedback in regards to my podcast series ideas and how it would translate that podcast to my already established social media audience. Jen is a pro-podcaster but an even better cheerleader for marginalized people claiming space in the arena of podcasting. I am now going to recommend Jen as a podcast consultant to anyone who I ever hear mutter ‘maybe I should start a pod’. Including YOU reading this umming about starting a pod? Call Jen! 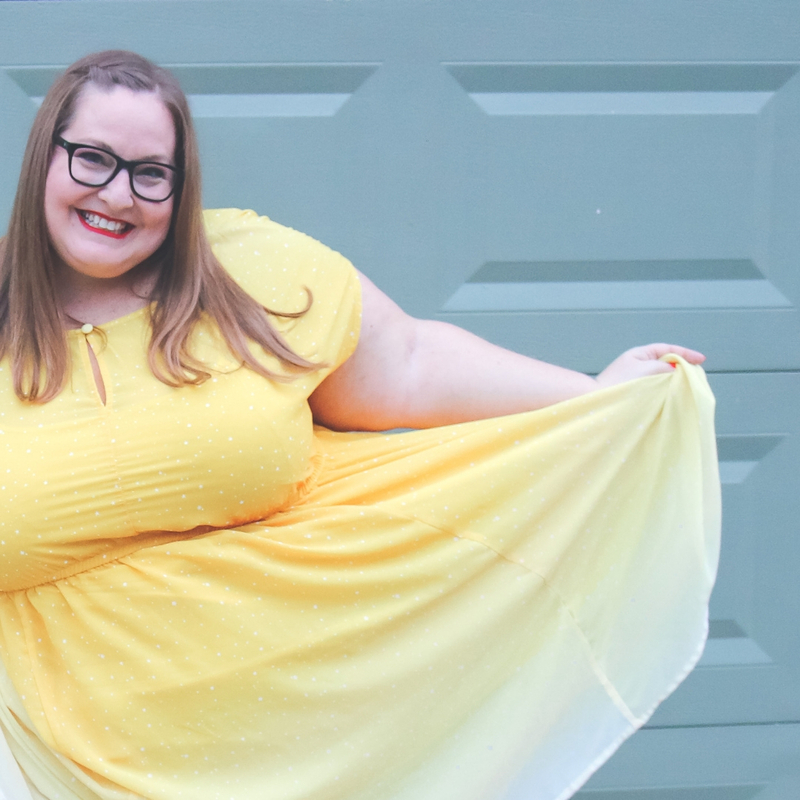 I’ve supported thousands of plus size people during pregnancy and motherhood. I understand the unique struggles people of size face and have a highly engaged community eager to participate in market research. From birth professionals to maternity clothing lines, I’ve helped businesses learn how to meet the needs of people of size. This package is highly customizable to meet your needs – from one-on-one consulting to market research, let’s schedule a call so I can understand your unique needs and how best to support you!